A REALTOR since 2000, Wendy has a wide experience in assisting her clients to buy or sell real estate. 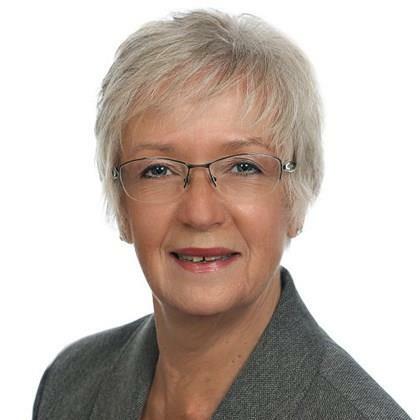 Focussed on selling new construction and re-sale residential properties in the Halifax Dartmouth metropolitan area she has also sold multi-unit residential and recreation properties in adjoining counties. She was a member of the Professional Standards Committee of the NSAR and the Discipline Committee. Until recently Wendy was the President of the Condo Corporation where she lives. A mother of twin daughters and grandmother of five, Wendy understands the many dynamics of family life and brings this understanding to her real estate practice. She is also an animal lover and has a Cocker Spaniel, Milo who loves to play ball and go for long walks. Wendy is a member of the Waegwoltic Club in Halifax plays golf on Ladies' Night at Indian Lake Golf Course and is a member of a local bowling league. This involvement in the community gives her an appreciation of what it has to offer its residents. She makes her clients' needs her priority and commits to providing solid, professional assistance.